A 19-year-old Mississauga, Ont., man is awaiting sentencing after pleading guilty to terrorism offences in a 2016 plot to detonate bombs in New York City in support of ISIS. A 19-year-old Mississauga, Ont., man is awaiting sentencing after pleading guilty to terrorism offences in a 2016 plot to detonate bombs in New York City. 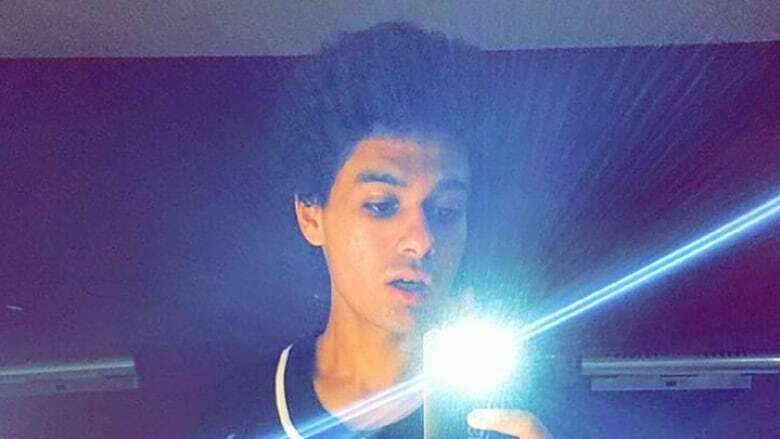 The charges against Abdulrahman El Bahnasawy were made public Friday when the U.S. Attorney's Office (Southern District of New York) revealed the details of the plan that allegedly included detonating bombs in Times Square and in the New York subway system, as well as shootings at various concert venues. According to the unsealed information, El Bahnasawy purchased bomb-making materials and helped secure a cabin within driving distance of the city for the purpose of building explosive devices. Two others, Talha Haroon, a 19-year-old U.S. citizen living in Pakistan, and Russell Salic, a 37-year-old Philippine citizen, were also charged in connection with the alleged plot. The two were arrested outside of the U.S. and the hope, according to the release, is that they will be extradited to the U.S. for prosecution. In an interview with CBC News, El Bahnasawy's lawyer Sabrina Shroff stressed his young age and called him "vulnerable." "It's a very difficult situation undoubtedly — not just for him but also for his entire family," Shroff said. El Bahnasawy, who has been in custody since his arrest by the FBI in May 2016, pleaded guilty on Oct. 13, 2016. He is the only one of the three to have pleaded guilty so far. According to the allegations, El Bahnasawy and Haroon plotted to carry out the attacks in support of ISIS during the Islamic holy month of Ramadan. In preparing for the attacks, the two communicated electronically with an undercover FBI agent posing as an ISIS supporter. In the course of their communication, they allegedly declared their allegiance to ISIS and expressed their intent to carry out attacks resembling the recent Paris and Brussels attacks. "These Americans need an attack," El Bahnasawy allegedly stated to the officer, saying he aspired "to create the next 9/11." El Bahnasawy allegedly told the undercover officer that he was in contact with an ISIS affiliate about attack plans officially sanctioned by a branch of ISIS active in Pakistan, and introduced Haroon to the agent. In May 2016, El Bahnasawy, while in Canada, purchased an "array of bomb-making materials," including 18 kilograms of hydrogen peroxide, a key ingredient in making improvised explosive devices. Batteries, thermometers, aluminum foil and Christmas lights were also purchased. That same month, El Bahnasawy informed the agent that he had been in communication with Salic, known to him as "Abu Khalid" and "the doctor," about acquiring more funding for the attacks. El Bahnasawy provided the man's contact information to the agent to facilitate the transfer. On May 11, $423 US was sent from the Philippines to help fund the plan, the U.S. Justice Department says. Meanwhile, El Bahnasawy shipped the bomb-making materials to the United States and allegedly told the agent he wanted to practice shooting at the cabin, which would need refrigeration for the purpose of making explosives. On May 12, the undercover agent sent Salic a photo of the hydrogen peroxide purchased by El Bahnasawy. It's alleged the man expressed to the agent that he would pray for the success of the attack. 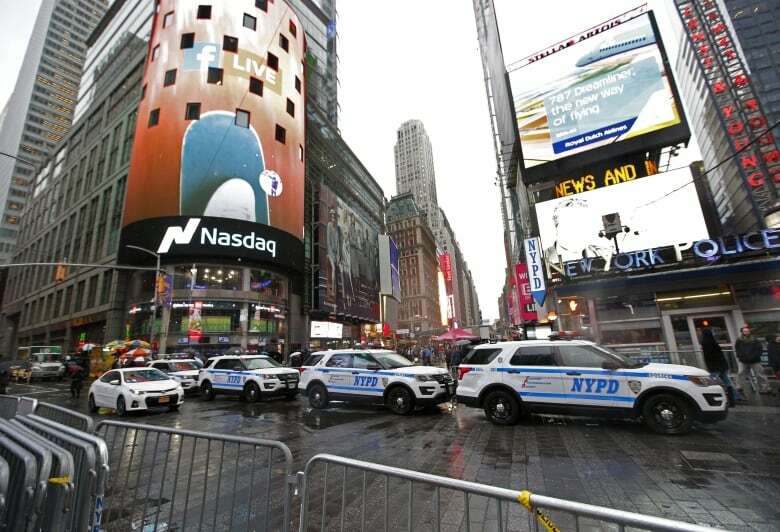 On May 20, Haroon deemed Times Square the "perfect spot" for the attack, the release alleges. In the course of his communications with the agent, the man allegedly discussed attacking as early as Memorial Day (May 30, 2016), saying, "that's a day that will change history." El Bahnasawy travelled to the New York City area on May 21, 2016, in preparation for staging and ultimately carrying out the attacks, allegedly with Haroon. U.S. law enforcement monitored the trip in co-ordination with Canadian law enforcement and El Bahnasawy was arrested that night in Cranford, N.J. The two others were subsequently arrested — one in Pakistan and the other in the Philippines. Conspiracy to use weapons of mass destruction. Conspiracy to commit acts of terrorism transcending national boundaries. Conspiring to bomb a place of public use and public transport. Conspiracy to provide material support to terrorists. Attempted provision and provision of material support and resources to terrorists. Conspiracy to provide material support and resources to a designated foreign terrorist organization, i.e., ISIS. Attempted provision and provision of material support and resources to a designated foreign terrorist organization, i.e., ISIS. He is scheduled to be sentenced on Dec. 12, 2017. Asked if El Bahnasawy will appeal, Shroff would not confirm but did say, "In every terrorism case in which the United States plays some role, there's always a concern about the length an undercover [agent] will go." In a statement to CBC News Friday, the RCMP said that at no time was the safety or security of the public at risk during the investigation. "Abdulrahman El-Bahnasawy is a Canadian citizen who was part of an international plot to commit terrorist attacks in the United States and the charges are a direct result of his involvement and role," the statement said.